Some of the most epic and magnificent music masterpieces were created to be played on a large pipe organ - made even better if listened inside soaring gothic cathedrals with pretty much perfect acoustics. 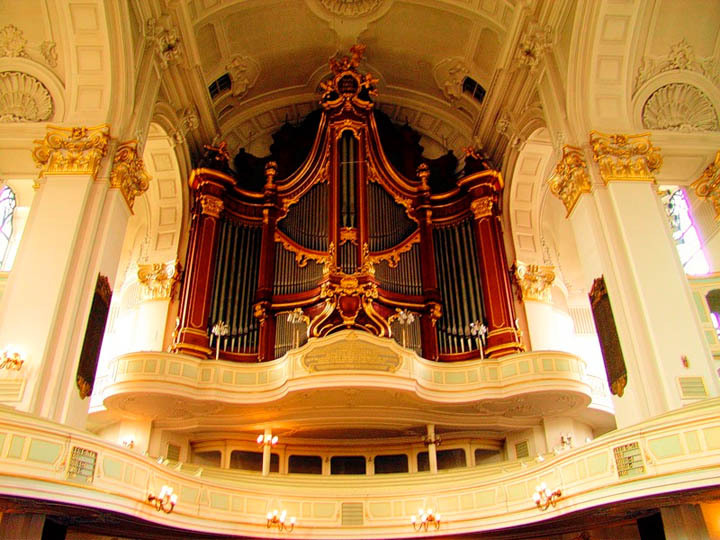 The wonder of this music is certainly timeless, and gets even more amazing when you start to investigate the history, science, and simple magnificence that has gone into the creation of some of the world’s most incredible pipe organs. 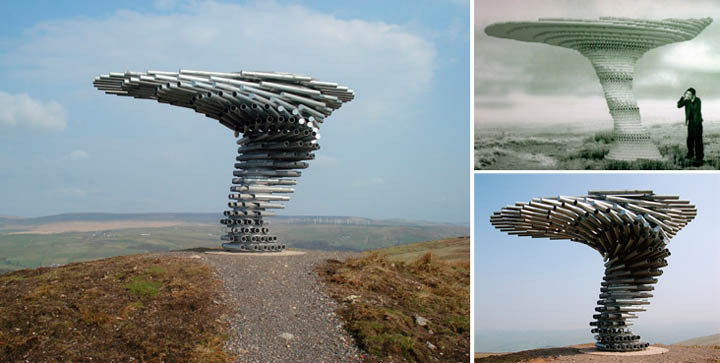 As with a lot of important technological – as well as artistic – achievements, trying to determine who made the first one of these things is a bit fuzzy. Some experts give the ancient Greeks most of the credit – specifically the genius Ctesibius of Alexandria. Those early Greek organs were pretty simplistic, but the basic principle is still the same: force air through a pipe and you get sound. Narrower pipes produce a higher note, wider pipes a lower note. 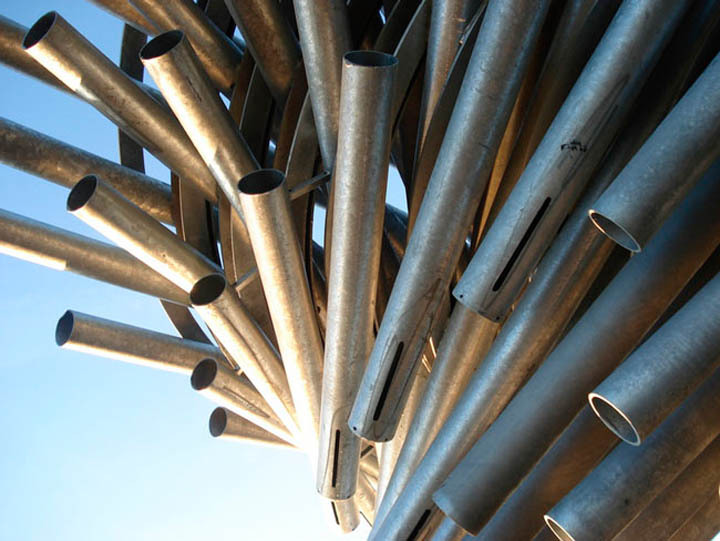 From these simple tubes of metal works of amazing intricacy may be wrought. What’s interesting is that portable organs were not only made in certain parts of Europe during the Middle Ages - they were quite common. 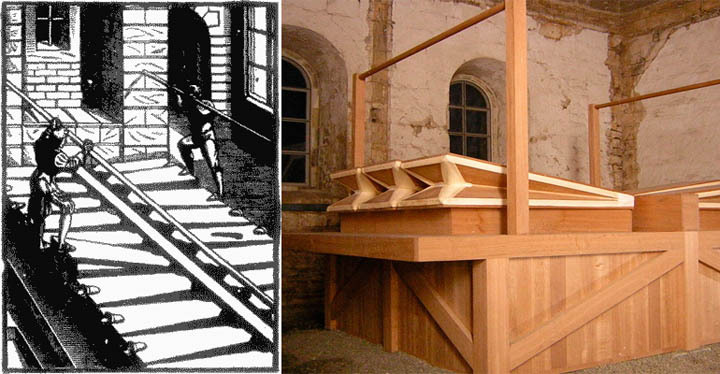 They were probably about as mechanically simple as Ctesibius' early invention, but it’s still remarkable that the technology was transportable by horse and wagon. But when you want to talk about size - you have to talk about the permanently installed ones. As with astronomical clocks (see our article here), large organs quickly became the blockbusters of their time. If yours was a town of any note then you pretty much had to have one – and the bigger the better. The fact that they were used by churches, like the aforementioned fancy clocks, couldn’t hurt either, as they had the deep pockets to afford them. 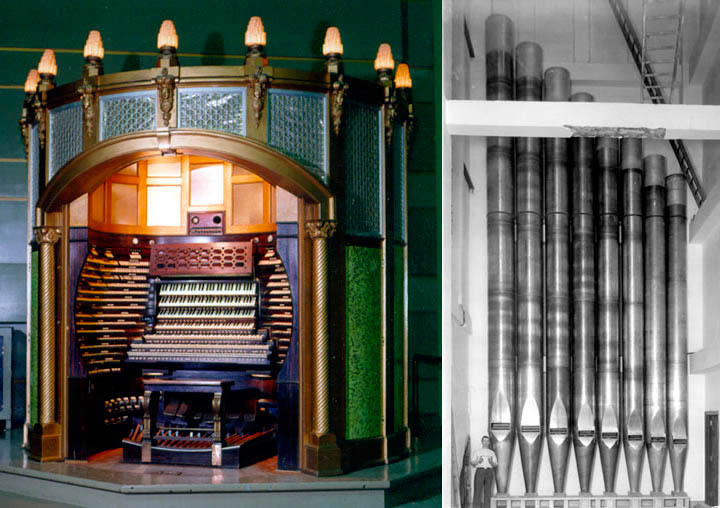 Because the technology of a pipe organ is relatively unsophisticated, making them bigger was a simple matter of scale: bigger pipes, bigger air supplies, etc. While there were a lot of monster organs… stop giggling… there are some that took the the musical instrument from noteworthy to astounding. 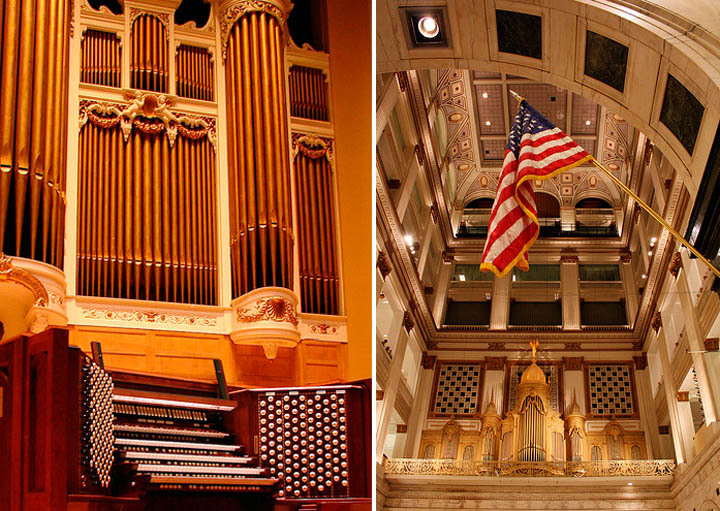 One of the largest still played today is the Kotzschmar Memorial Organ in Portland, Maine. Built in 1911, it is a beautiful piece of engineering as well as musical artistry. Although much of its technology is hidden from sight, what is visible is simultaneously elegant and powerful, which also perfectly defines the sonorous air of its haunting notes. Another great pipe organ was created in 1904 for the St Louis World’s Fair, the Wanamaker Grand Court Organ in Philadelphia is a monster among monsters. Everything about the instrument looks like it was designed not just to make sound but a LOT of VERY BIG sounds: it has not one, not two … but, to get to the point, 28,482 pipes set in 461 rows (more info). 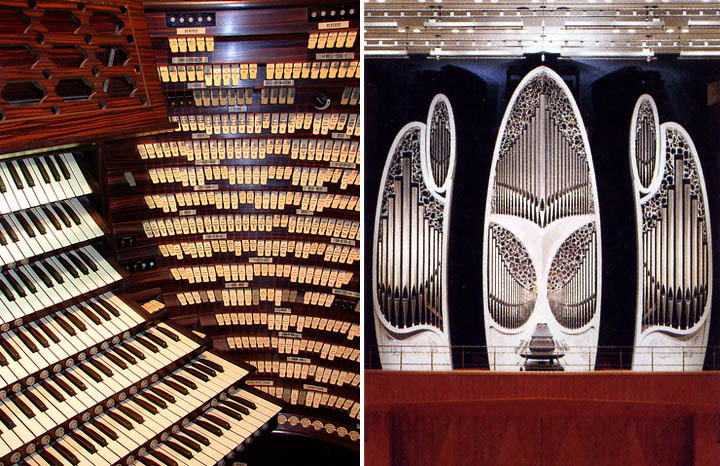 Its keyboard looks more like something used to launch a space shuttle rather than underscore an aria… but the organ definitely creates music – on a scale commensurate with its standing as the second largest pipe organ in the world. 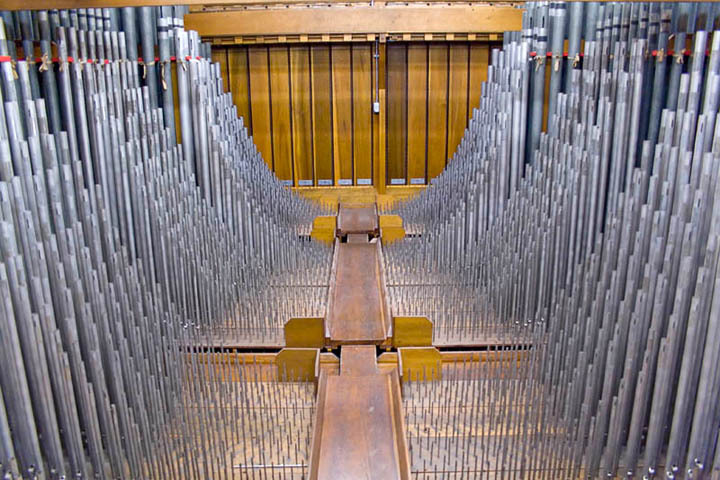 The Great Stalacpipe Organ - the World's Largest Musical Instrument! How would you like to hear something six times the volume of the loudest train whistle? I'd say you should be warned before the sonic assault commences so that you could cover your ears. Next time you’re in Atlantic City, swing on by and check it out in the Boardwalk Hall. Built in 1932, the organ makes that beast in Philadelphia look like a sickly kitten. While the Wannamaker Organ boasts those 28,482 pipes, the Boardwalk Hall organ has – ready for this? – about 33,000 pipes. I say ‘about’ because even the owner/operators of the machine aren’t sure. Indeed, the engineering for the organ looks like something that might have been built to power the Muzak in the Tower of Babylon elevators. 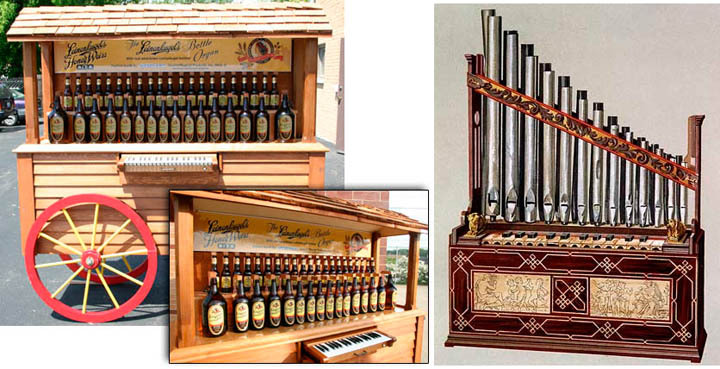 The Boardwalk organ holds a total of three Guinness World Records: largest pipe organ in the world, largest musical instrument, and – it must have been a literal blast to have been there when this was set – the loudest musical instrument ever constructed. When asked how he felt about winning this last award, the keyboardist was heard, barely, to answer “what?” See more images here. Trying to play this beast is a life-time job: there are four manuals, and a full list of "stops" (registers, and also controls that operate this mechanism) is published here. See if you can imagine memorizing this, let alone fluently play it. From "Spitz Flute Celeste" (register 217) to "Tuba d'Amour" (register 231) this fantastic instrument can indeed wake up the dead with celestial music, it seems. You were ready to hear about the world’s largest organ? (well, hello there, YouTube commenters) Unfortunately – as with a lot of big organ claims -- you’re likely to be disappointed. The Boardwalk organ, alas, is largely silent: having been damaged by weather, water, budget cuts, and poor attempts at repair, it can still be heard but at only a fraction of its true potential and power. And there’s nothing funny about an organ that isn't operating at full capacity. Next to the Madrid picture is Trier. Trier is in Germany, however, and not in Austria as written. 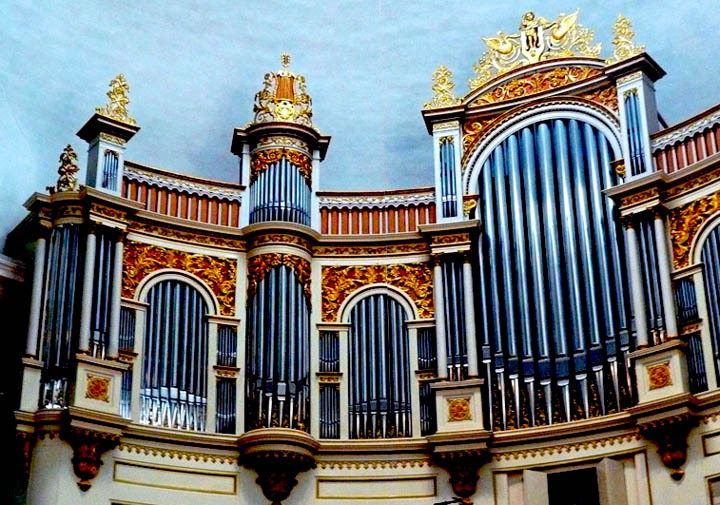 You forgot about the only "Bamboo Pipe Organ in the World" found in the Philippines. 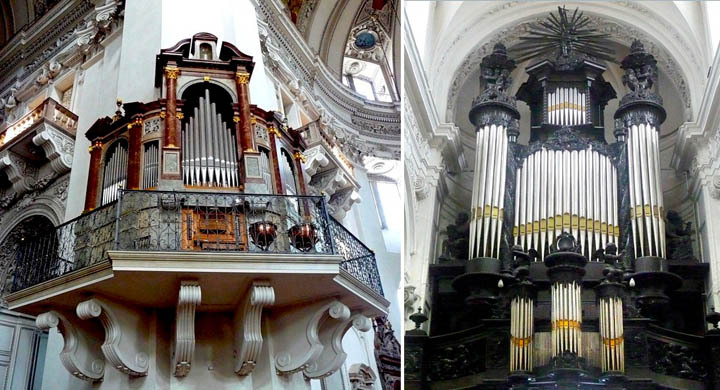 Many of the pipes seen externally in the churches are largely ornamental, and most of the actual sound-producing pipes are hidden behind panels. It is in Zadar, Croatia. Sea, more specific waves hitting the coast, pier pass through designed cavities in stone, and go to built in pipes. Wonderful music.. I don't know how many pipes or when it was built, but I've never seen an organist need a kid to operate the stops. while this is not a functional organ, it's a visually impressive, cavernous warehouse-sized room filled with fantastic "organs" cobbled together from parts salvaged from many actual organs. crossing the many bridges and walkways in this red velvet monstrosity makes for a surreal experience. Great idea for a post and love some of these images! You should check out one that's in the United Artists Theatre in Detroit (I was reading about the place recently and am sure that's where this organ was?). Anyway, it's a grand old theatre but totally abandoned and decaying, and there's an amazing pipe organ still in there (if I'm thinking of the wrong place, apologies). Great post! At the end of my second decade it's still a riot. Always touching when the old ladies in church get teary eyed hearing a new instrument play for the first time. The Wannamakers Pipes are amazing. I got to see this a couple of years ago. BEAUTIFUL estate. 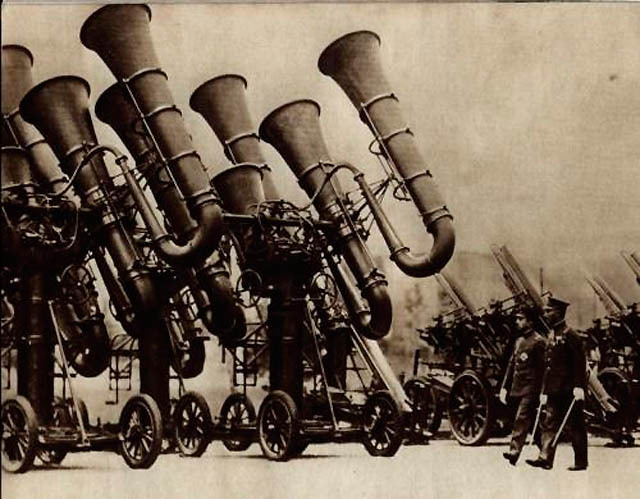 --The 'horizontal pipes' are generally called 'chamades;' they project a louder sound than upright pipes (since they speak directly out into the space) and are customarily used for very LOUD things, such as trumpet fanfares. --"Manuals" are simply keyboards; the Boardwalk Hall organ (the large one) has seven on its full console. 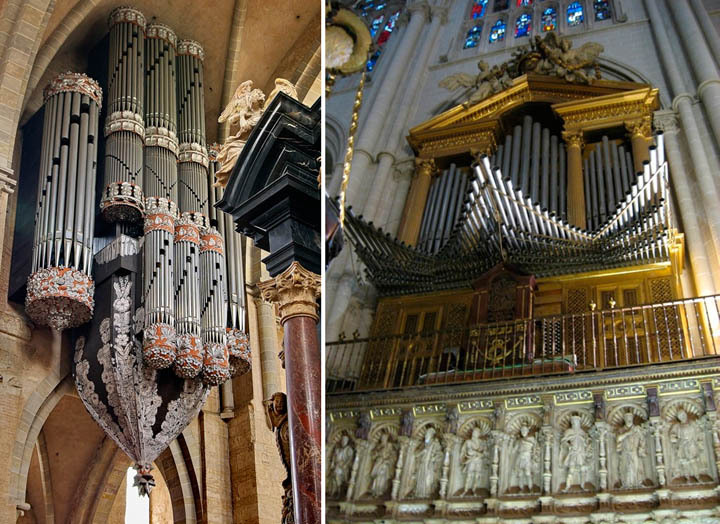 --I'm rather surprised that the Cavaille-Coll organs, especially Saint-Sulpice and Saint-Ouen, didn't get a mention. I wonder how those egregious organs would sound with sulphuric acid poured down every single pipe?